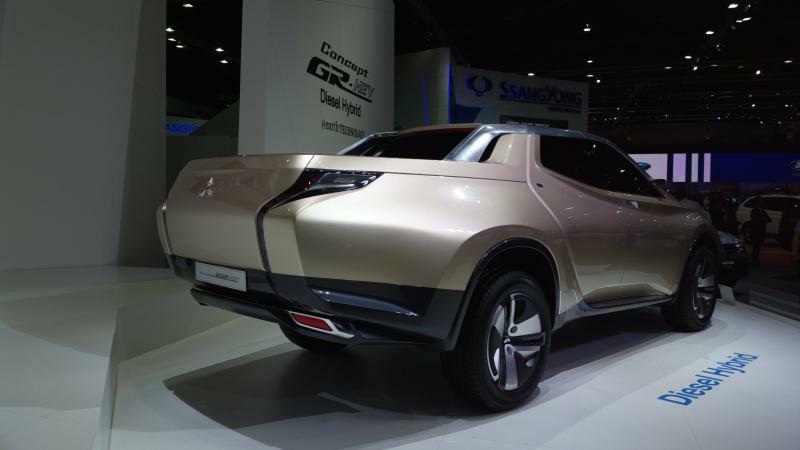 Mitsubishi Motors brought two concept vehicles to the 34th Bangkok International Motor Show, and both of them are of interest to us here in Thailand, because they both provide real clues to the design language that will find its way into production vehicles in the very near future. Unlike some concept vehicles that will never reach production, and merely serve to introduce some design elements that will possibly, maybe find their way into cars in the distant future, these concepts are actually going to be followed up with real production vehicles, and ones with mass-market appeal at that. 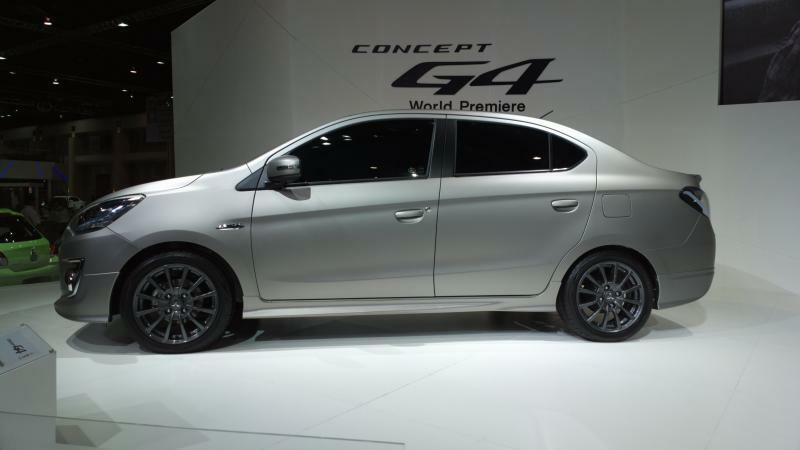 First off, the Mitsubishi G4. 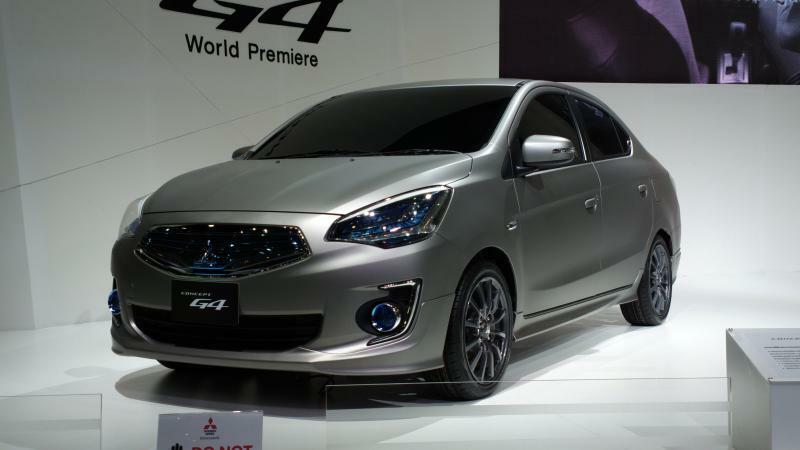 This is effectively a "conceptualised" Mirage saloon (sedan). The reality is that the production car will not be a million miles away from this concept. The 4-door Mirage will join the recently launched Honda Brio Amaze, and the popular Nissan Almera in this tiny saloon category. We think it looks great, and while the Mirage has already proven to be a success, Thais still love 4-door cars, and are strangely resistant to the merits of the hatchback. Naturally, the G4 will get a new name for launch, and we can expect the wheelbase to be extended to provide more interior space. The 1.2 litre 3-cylinder motor and CVT from the Mirage will remain the same. 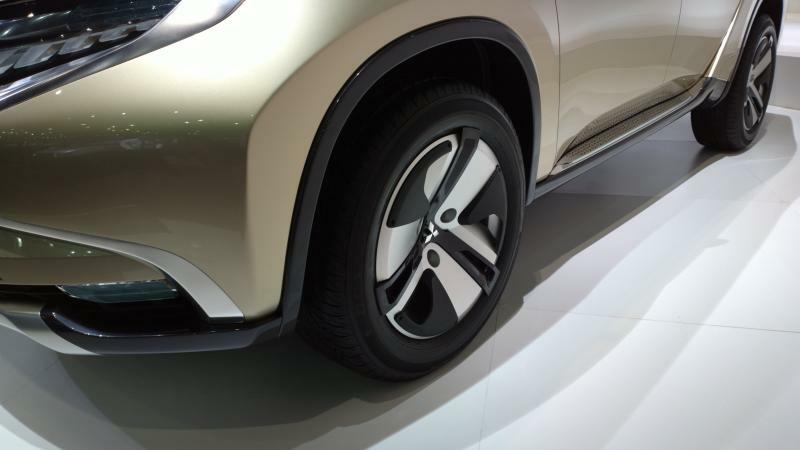 It's hard to believe that the Triton is already reaching end-of-life, but here we are, looking at the GR-HEV Concept Vehicle, which gives us some clues as to the shape of the 2014 Triton. Looks good! The Concept vehicle is imagined to include a Diesel-Hybrid which produces under 150g/km of CO2. For the production model, Thailand can expect a more conventional 2.5 litre Diesel, albeit a brand new engine. Pick-up trucks will continue to be a very important segment in Thailand for some time to come, and the reality is that Mitsubishi needs the new Triton to be a hit. Hopefully they will resist the urge to go big. We hope Mitsubishi can buck the trend and make a tidy truck with smaller dimensions and tighter turning circle, and better fuel consumption. We think the GR-HEV has all the right stuff to form the basis for a very nice looking truck. 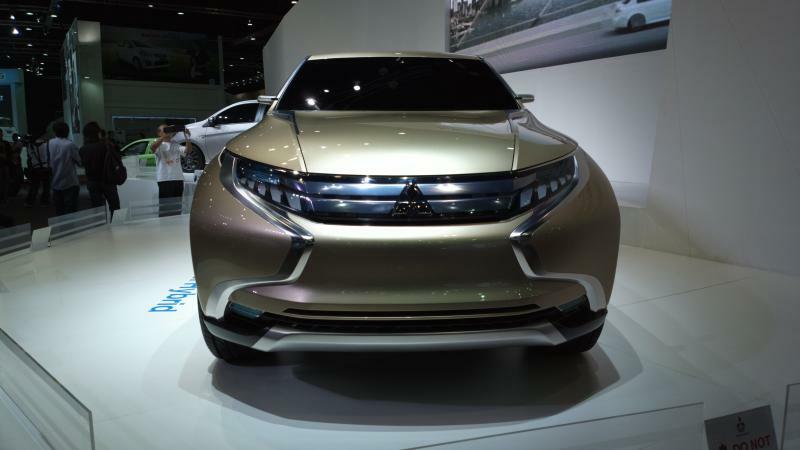 Good job Mitsubishi! To some, the Motor Show is little more than a glorified showroom, where they attempt to flog off their cars to folks who have paid 100 bath and spent hours in traffic to get there. Mitisubishi actually put in some effort and brought a few interesting concepts along. The GR-HEV is possibly the most impressive concept of this year's Show.